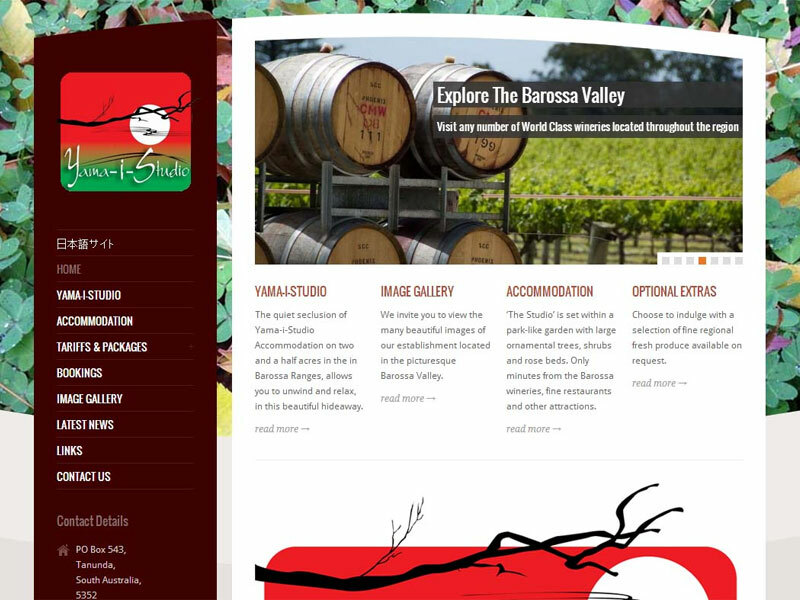 Description: A website designed and constructed for a Bed & Breakfast located in the South Australian Barossa Valley Wine District. Built using WordPress and PHP; the site was built in English and Japanese (2 versions) and required a custom online booking system. A fresh and beautiful site that the business owners were delighted with.